Kris Aquino is not running as a senator for 2019. 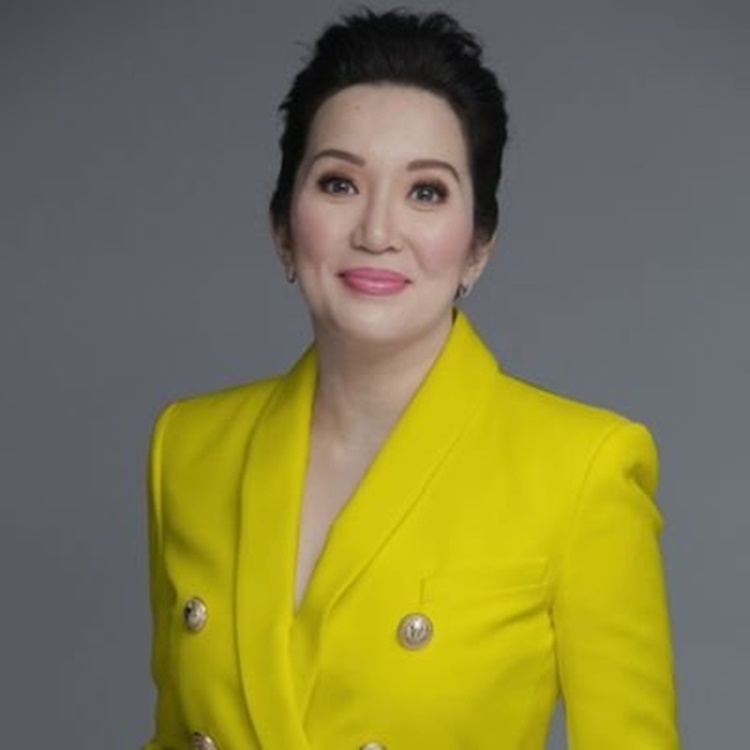 KRIS AQUINO – The “Queen of All Media” Kris Aquino has a reply to Bam Aquino’s statement that she will win if she runs as a senator in 2019. Kris Aquino has seemingly got relaxed after the controversy she had with Mocha Uson. After her raging anger comes to another issue about her being pushed to run for an elective position. In her Instagram account, Aquino has posted something sharing the reason why she is not running for a senatorial race in 2019. She stressed that she is fulfilling her signed obligations. Seemingly, Kris is serious on focusing on her career now following her brief hiatus after the other issue she had with the network she had switched to. @bamaquino Thank you… But you do realize i’ll violate the contract i signed w/c your wife @timiaquino negotiated if i run for any elective post in 2019? @chowkingph renewed me until 2020… for my haters, please patronize #Ariel from P&G, @pldthome, @livesmart, @iflix.ph, Nutri-Asia products, Monde Nissin, @ultherapyph, @everbilenaofficial, #UniPak, @healthyfamilyph, an Indonesian conglomerate i cannot name, the biggest Korean home appliance & entertainment company, a Thailand beauty company w/c i also cannot name, a residential properties industry leader, @unilab, a World leader airline not based in the Philippines, and the world’s biggest food company- all of whom i have commitments with that specifically state that i won’t seek any elective post in 2019 & i will refrain from any divisive political statements except when defending honor & dignity of family… marami pang ibang contracts pero ma bo-bored na kayo reading the list & i’m afraid of violating non-disclosure agreements. To all those who continue to love & support me- please join me in being super grateful to these companies for truly believing in my trustworthiness & credibility. Totoo naman po- MAY TAKOT AKO. Takot akong sirain ang aking palabra de honor (Word of Honor) & gibain ang pakiramdam kong mga dapat kong ipagmalaki- marunong akong tumanaw ng utang na loob at may #LOYALTY ako sa mga nagbigay ng trabaho at tiwala sa kin. ??? ?